I was recently invited to an event held here in Edmonton, at Southgate Centre (my favorite mall in the city). 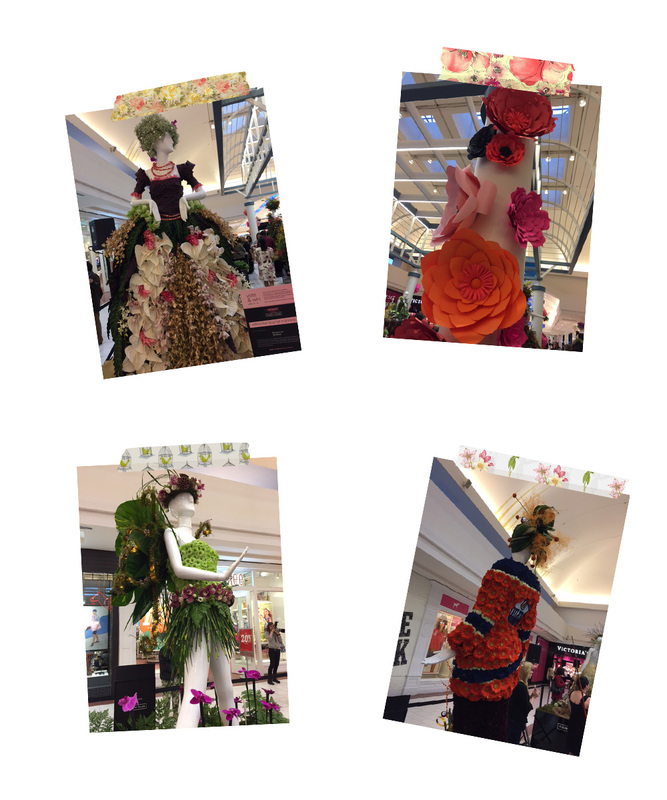 The event, called "Fleurs de Villes" caught my attention because of its French name. Fleurs de Villes translates to "Flowers of the Cities". I was intrigued. Who doesn't love flowers? 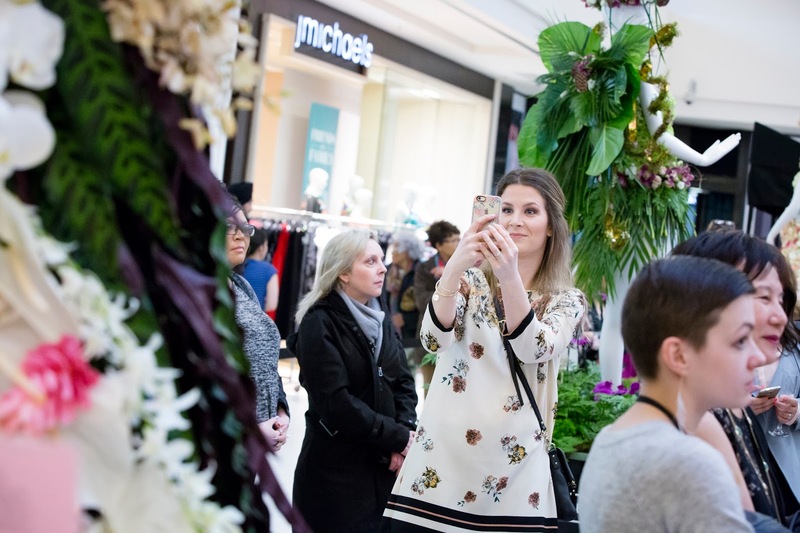 The event is a showcase of florists' talent and is being held in a few lucky cities across Canada and one in the States. 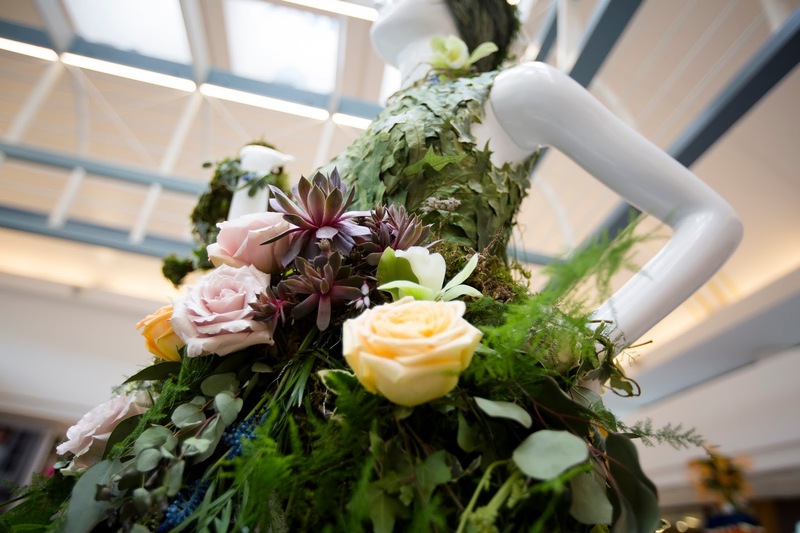 The idea behind it is simple: collaborate with local florists to create incredible mannequins displays made - you guessed it - of flowers. I had a lot of fun discovering all the stunning creations, mingling with the guests while sipping lemonade and checking out the gorgeous flowers arrangements that were created for the occasion. The mannequins were spectacular, I can't imagine how much work went into these pieces of art. The theme of the night was floral, and a lot of the guests showed up in their best floral print. I had a few other fabulous dresses in mind but alas, with the dreadful weather we were having that night, I ended up picking a more wintery option. There were contests and amazing prizes, and the guests got to vote for their favorite creations. I was amazed by the intricate details. In a quieter setting, I could stare at them for hours. Get more details about the Fleurs de Villes events and the upcoming dates here. Thank you again for having me Karen, it was lovely meeting you! 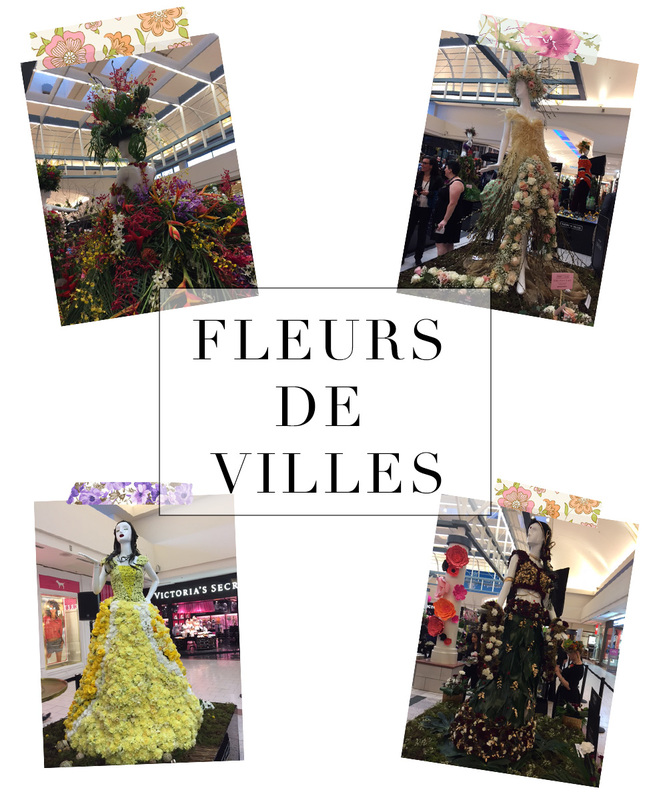 Thank you for attending our Fleurs De Villes event! We loved reading your post and seeing all the great pictures you captured during the exhibit. Thank you for having me, I had a blast!